SLASH YOUR FOOD PREPARATION TIME BY UP TO 50% & GET THE PERFECT CUT EVERY TIME. 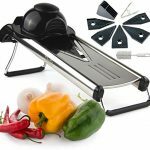 With this V-blade mandoline cutter you’ll spend less time preparing food and more time enjoying it… plus the professional results will simply amaze you! QUICK & EASY TO USE. 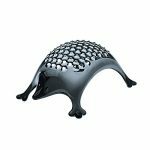 Cut your fruit, potatoes and vegetables quickly and easily into uniform slices or julienne with the V-blade slicer. The 5 different interchangeable inserts allow you to create professional looking slices or juliennes for different occasions. Includes 1.5mm slice, 2.5mm slice, 3.5mm slice, 3.5mm Julienne and 7mm Julienne. BPA FREE, SAFE TO USE & EASY TO CLEAN. 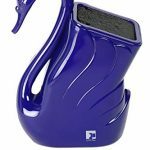 HAND SAFETY GUARD and PROTECTIVE BLADE SLEEVE included. Non slip design. Includes a blade caddy so you can store unused blades safely. After use simply rinse under running water to clean. Dishwasher safe. Includes FREE cleaning brush. 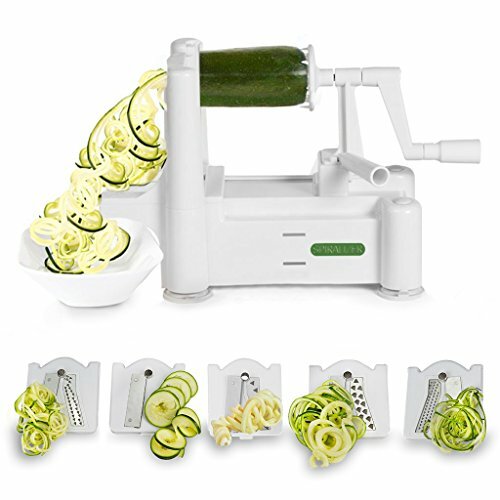 Your Search For The Best Mandoline Slicer Is Finally Over. 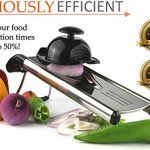 Now You Can Cut Your Food Preparation Time by Up To 50 Percent With the Chef’s Inspirations Premium V-blade Stainless Steel Mandoline slicer. 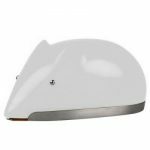 The Chef’s Inspirations V blade mandoline food slicer is designed so you can quickly and easily prepare your food. 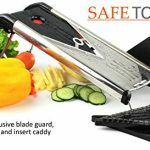 You will find the Chef’s Inspirations mandoline slicer easy to use and can cut your food preparation time by up to 50 percent. The results you’ll get are simply amazing too. The Chef’s INSPIRATIONS V-blade mandoline slicer is designed with the cook in mind! 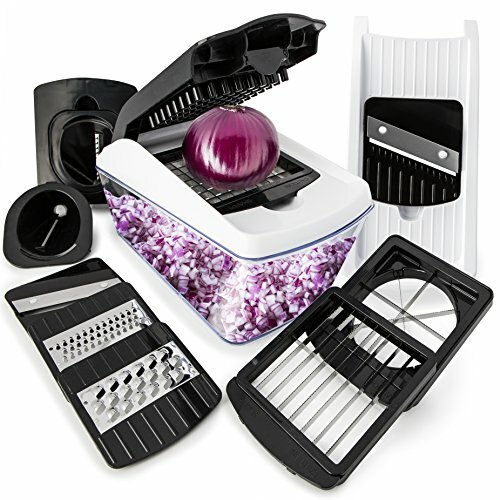 Premium quality stainless steel that is strong and durable unlike other mandolin slicers made of cheap plastic. 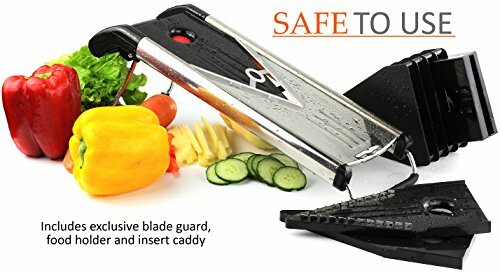 This mandoline slicer is really designed to last a lifetime. Ultra-sharp V-blades that will slice your food effortlessly, just like a hot knife through butter. 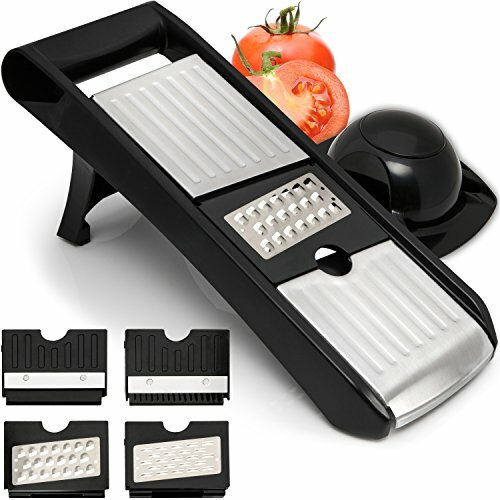 Non slip rubber feet and slicing guard makes this mandoline slicer safe to use. Fold away feet makes it easy to store. 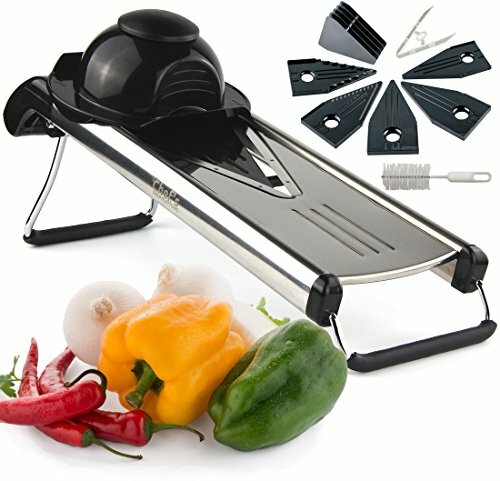 Don’t decide now, give the Chef’s Inspirations Mandoline Slicer a try if the Chef’s Inspirations Mandoline Slicer don’t live up to your high standards then we will refund your money no questions asked and you’ll even get to keep the bonuses. MADE TO LAST. 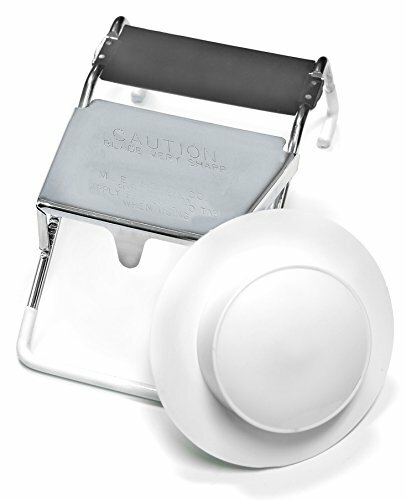 Heavy duty sturdy stainless steel frame and blades are made to last a lifetime. Forget the cheap plastic mandoline food slicers. This one will out last them all. BACKED BY OUR 365 DAY WARRANTY & 30 Day 100% MONEY BACK GUARANTEE. 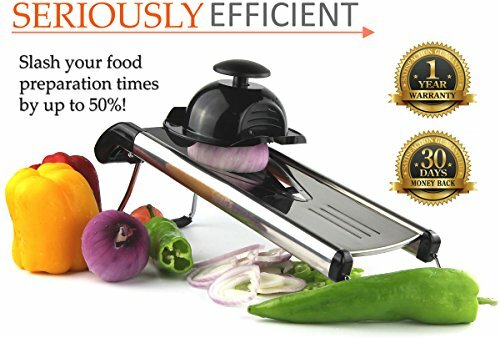 We believe this is one of the best mandoline slicers out there so we are offering such an amazing guarantee. ** BONUS eBooks also included in the package. Ebooks are sent via email so watch out for your Amazon email in you inbox. Ebook package includes The Secrets of The Chinese Chef, Traditional Indian Recipes, Italian Recipes and Salads Recipes.